I just ran across this and it is sad to see. But I have to agree with the article, I doubt many people even knew about it. I have a Nook and have a lot invested in the platform, yet I never knew they had audio books. Part of the problem may be it was only though OverDrive, which requires their media console app, and of course that only works on the tablets. I have the OverDrive app and it is ok, I would prefer something without DRM but that is my only complaint about it. But again I had no idea B&N sold audio books though OverDrive, and I even have the app installed on my Nook tablet. I tend to think B&N's biggest problem is lack of proper promotion and advertising. And when they actually do (such as last years Christmas advertisements) it is not exactly placing their store in the best light. Most of the people I talked with hated the commercials and I suspect they drove people away from the stores rather than their intended purpose. I have heard they are planning on a new Nook release, and I hope they finally do their promotions properly. The platform is a good one and the only complaint I have is the "locking" of the device. Although Nook HD no longer is and has full Android Market support. But they should have had the devices more open from the start. I doubt they would have the current problems if they had. 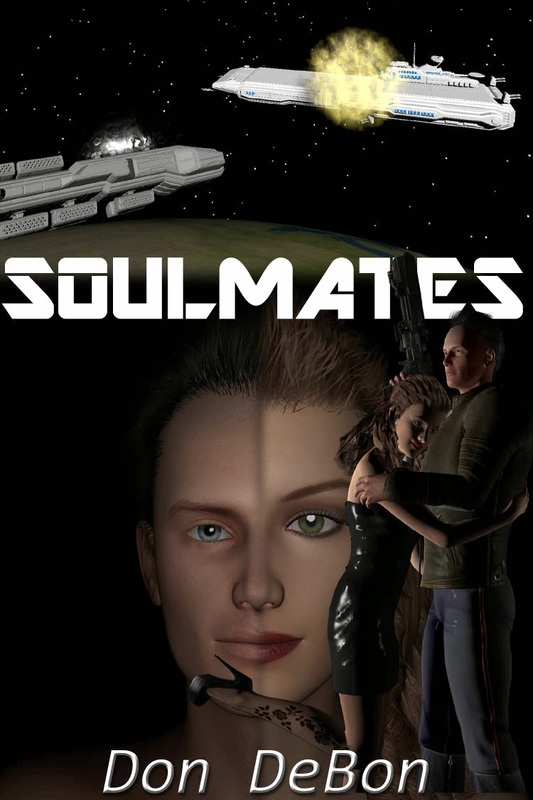 And for those that have been asking about Soulmates, it should be out in ebook by the end of this month, and print form shortly thereafter. I know it is way behind schedule, but I am sure you will think it was worth the wait. Don DeBon is the author of Italian Fever and Red Warp. Currently available on Smashwords, Nook , Kindle, Scribd and Kobo.